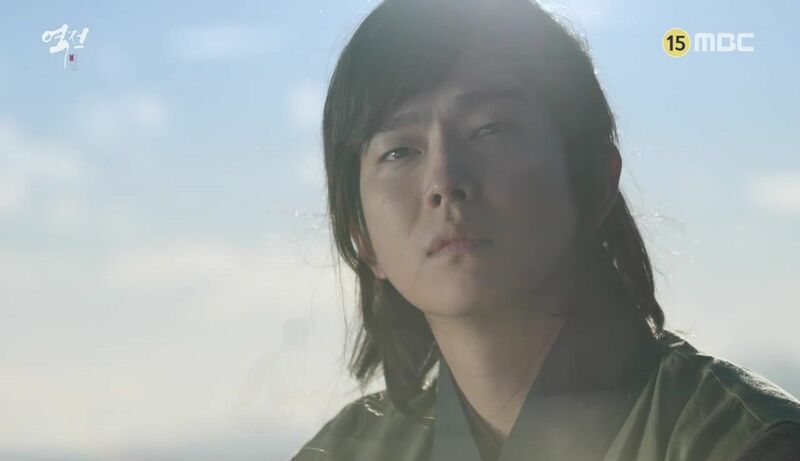 Hong Gil Dong (Yoon Gyun Sang) is a Mighty Child with great strength. To protect his family he tries to hide his power but can it be hidden when he is destined to change history? We’re long into the story of Hong Gil Dong but I still think that nothing has happened. We’ve only started to get an idea of what the plot is supposed to be, so far most of the story has been foreshadowing and Gil Dong’s past. Let’s review the story so far. The story starts when Gil Dong is born. We’re shown his family and his childhood when his father discovers his son is the Mighty Child. 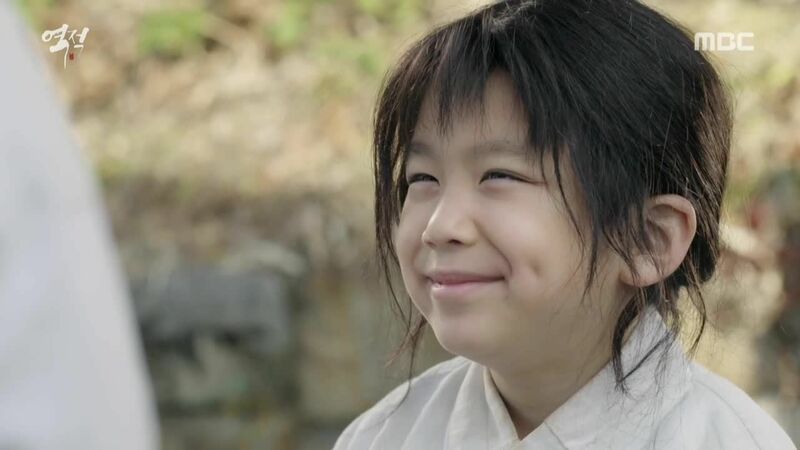 Gil Dong’s father Ah Mo Gae (Kim Sang Joong) then teaches him to hide his unhuman strength in order to protect him and their family. If he can’t do that, they will all die. 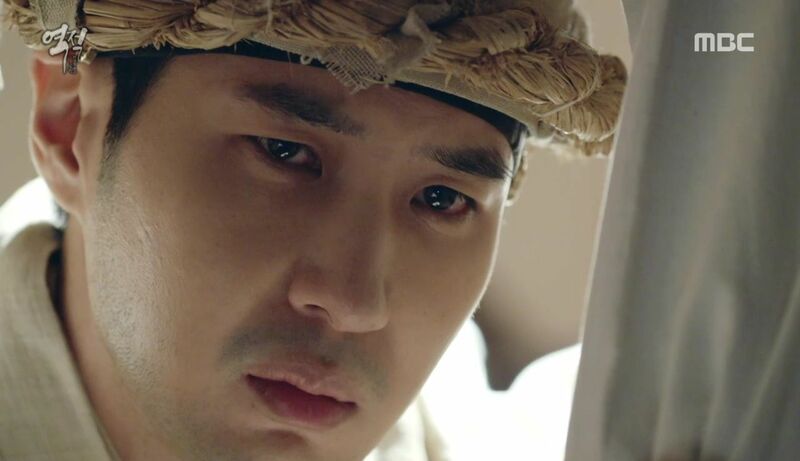 When trying to protect his mother Gil Dong reveals his power and harms a nobleman, which for a servant like him, is a crime. His father takes the blame and through various twist and turns including his wife’s death he ends up killing his master. However Ah Mo Gae refuses to go down for killing his, let’s just be honest here, disgusting master. And I don’t blame him, I really don’t. His family has been serving the same master for generations and what does he get in return? Beatings and his family members dying for nothing. I felt physically sick watching this. 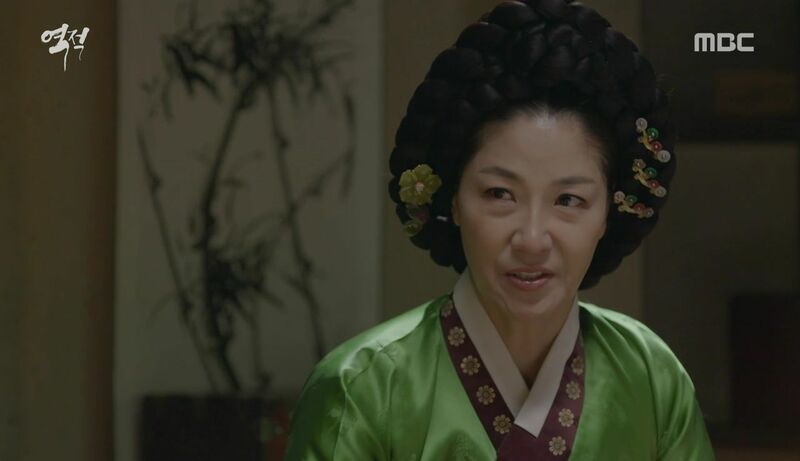 Now Seo Yi Sook as Ah Mo Gae’s master’s wife was great as an actress but as a character she beats every evil kdrama mom out there. I can’t even stand seeing her on the screen. After Ah Mo Gae gets freed from his charges he leaves the village with his children and settles to a new place where he finds financial success through smuggling. He creates a gang of his own and becomes a well-respected man with connections everywhere. Unfortunately for him neither of his sons wants to utilize the options his hard work has opened for them. 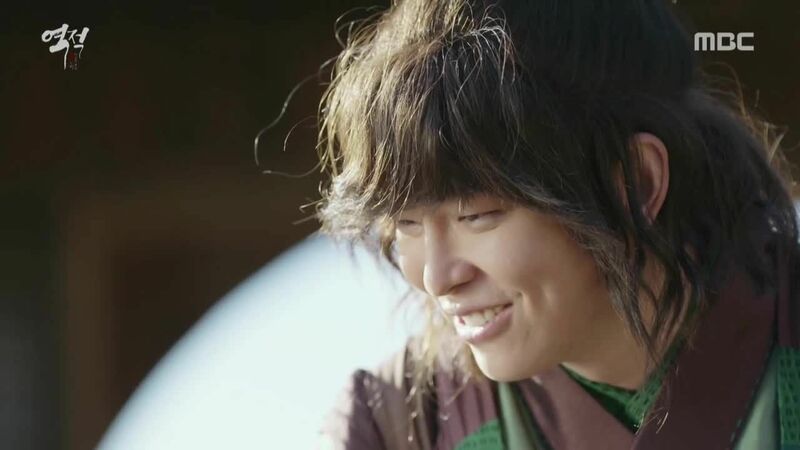 Gil Dong becomes a famous peddler who travels the country charming women and his other son, Gil Hyun follows in his father’s footsteps with the gang. Gil Dong and Gil Hyun both adore their little sister who has grown up sheltered like a noble lady. The grown up Gil Dong has lost his powers and travels the country for years. He doesn’t like coming back home to his father but makes the trip for his little sister’s birthday. Gil Dong seems like an easy-going man but in reality he hates the life his family lives and is sure that his father’s business will bring doom to their family. Gil Dong falls in love with an older kisaeng named Nok Soo (Lee Ha Nui). She is a talented singer with a heart made of ice. She has suffered since she was a small child and doesn’t believe in trusting others. She dreams of becoming the king’s woman and finally being able to ease her life. Our king (Kim Ji Suk) is still just a character in the shadows. This is one of the reasons why I’m not going to be able to continue with this story. The happiness of this family is short-lived as old and new enemies surface tearing the family apart. This does change one thing for a short while at least: Gil Dong’s super human strength returns. I dived into Rebel: Thief Who Stole the People with a positive mind. I decided I wouldn’t mind the length (30 episodes) and believed that the story would be great. And it was, for a while. 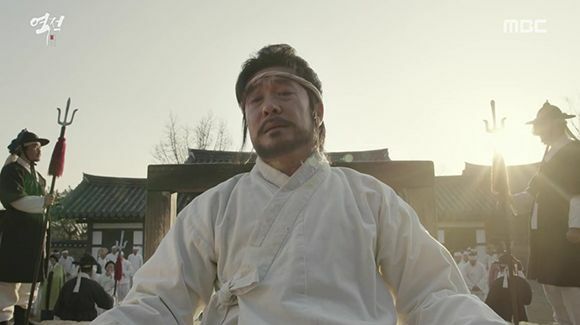 In the beginning the dialogue and action between the king and Gil Dong really captured my attention but then we dived into the past for a veeeeerrryyyy long time and we still aren’t caught up. At first I liked that we were shown plenty of the story behind Gil Dong but there’s a limit and that limit was crossed episodes ago. We’re left stuck with the story and nothing is changing or moving forward. All that has happened in the past 8 episodes could have been dealt with more quickly, one episode would have been plenty. I find that because of the slowness Gil Dong’s character is not changing and is going around in circles with his on-off power and memory. Rebel might be a good choice for a die-hard historical drama fan who has the energy to dive deeply into a slow-paced story but it is not for me. I am moving on as fast as I can.